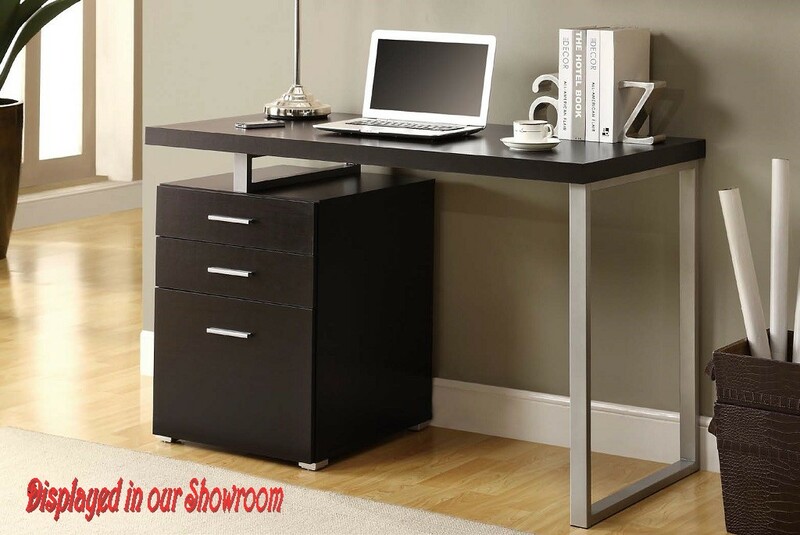 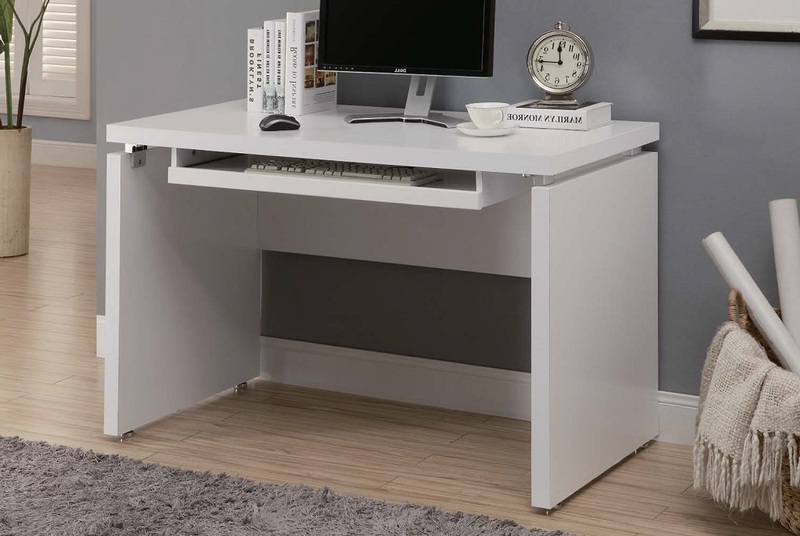 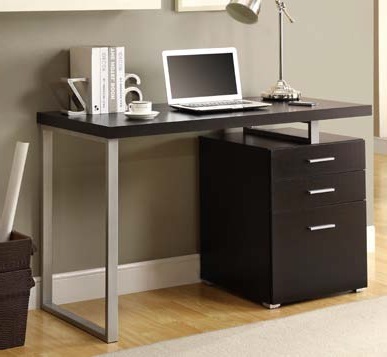 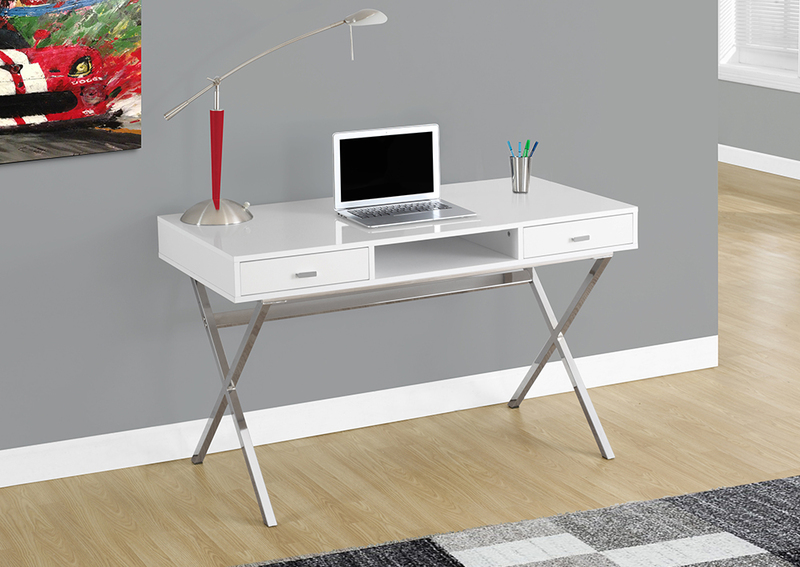 I-7211 Computer Desk – modern, high gloss desk is the ideal computer workstation for your home office. 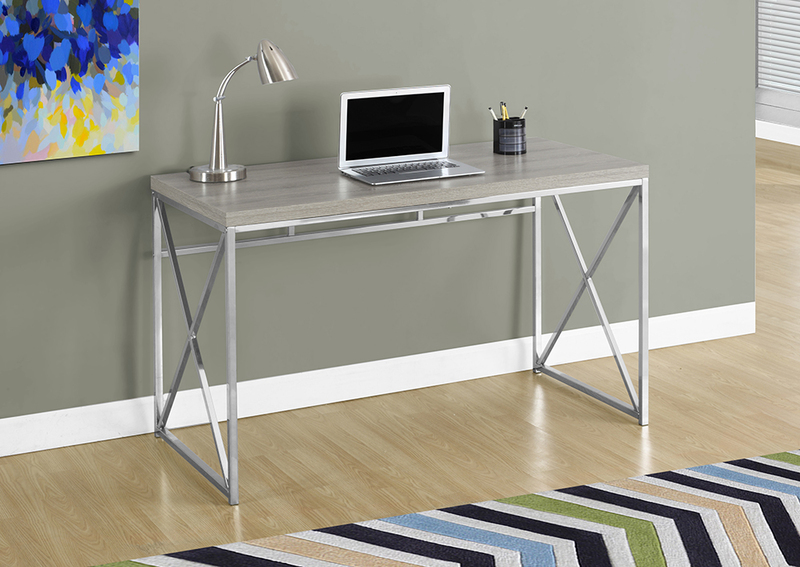 The stylish criss-cross silver metal legs provide study support while the white glossy finish adds style. 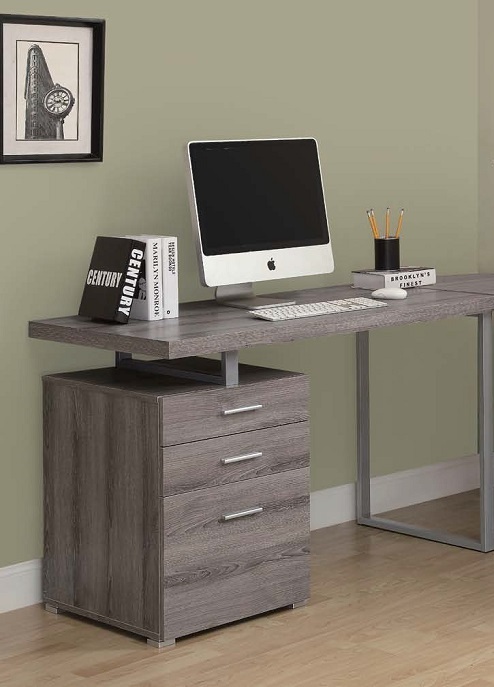 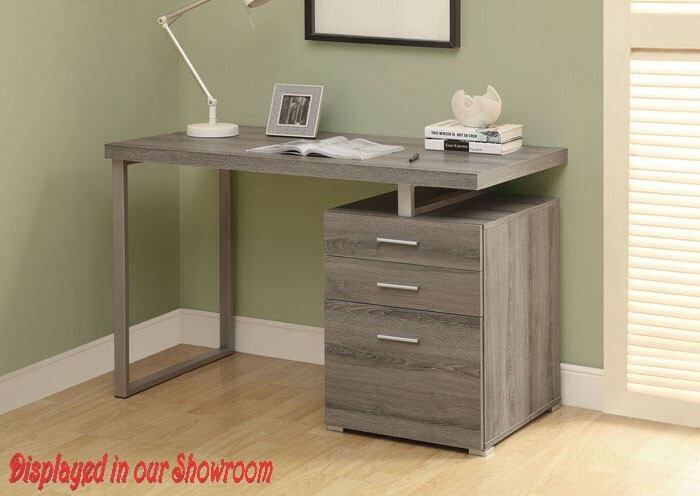 This practical yet fashionable desk offers ample surface room, 2 storage drawers for your office supplies and one open concept shelf perfect for storing away your laptop and other accessories.